Now that winter is here, you should be planning some sort of getaway. Winterscapes are my favorite sort of holiday. With a recent hurty finger injury, I cancelled my trip to El Potrero (boohoo) because I just don’t think my finger can handle a full week or more of just climbing. Over the next few weeks, I plan to write up a fun series….Winterscapes of my most favorite beachy, vacation destinations that offer a variety of climbing. Some a whole lot, others just enough to satisfy that climbing fix. First suggestion is my favorite spot in the Caribbean, the British Virgin Islands. A few years ago I went to the British Virgin Islands to surf because November through about February’ish is wave season in this area. I was new to climbing and addicted to any rock or climbable feature. I was worse than a group of kids let loose at Toys-R-Us! Below is what I can remember where I visited. 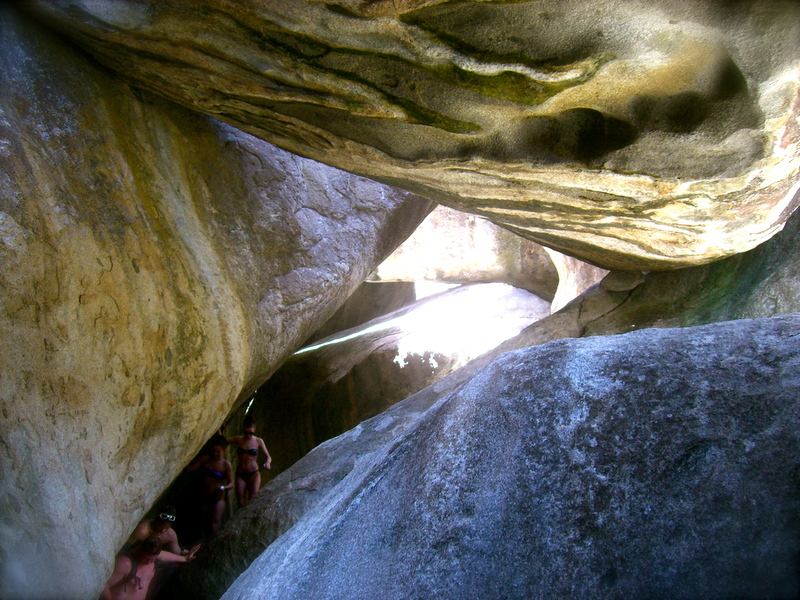 Bottom line, the climbing here is bouldering at Virgin Gorda with lots of FA opportunities. Other than that, we hiked, snorkeled, sea kayaked and checked out lots of beaches. Hope this inspires you to visit this beautiful paradise, and make sure you drink one painkiller or two! Tortola – This is where we flew in and stayed for most of the trip, so this was kind of like our fancy ‘base camp’ (haha). I stayed at what I think is the nicer hotel there called Long Bay Beach Resort (http://www.longbay.com/). However, these days I hear a lot of good things about finding vacation rentals on airbnb.com so if I return and have no hook ups, I will try airbnb. They just renovated Long Bay Beach Resort so the costs have increased since we stayed there. We did the breakfast and dinner package, which was delish. Since it is pre-paid, pay tips in cash so that you are never over or missed charged, just saying, follow this advice for a smooth check out. You can also walk to Smuggler’s Cove from Long Bay, just ask and the locals will point you in the right direction. Smugglers Cove is just a beach with good snorkeling. I am not much of a shopper when I vacation, but if you are, hit up Road Town and spend your money while I go look for an adventure on the island! Make sure to support a local by taking an excursion with White Squall, one of the oldest sailboats on the island (http://www.whitesquall2.com/). 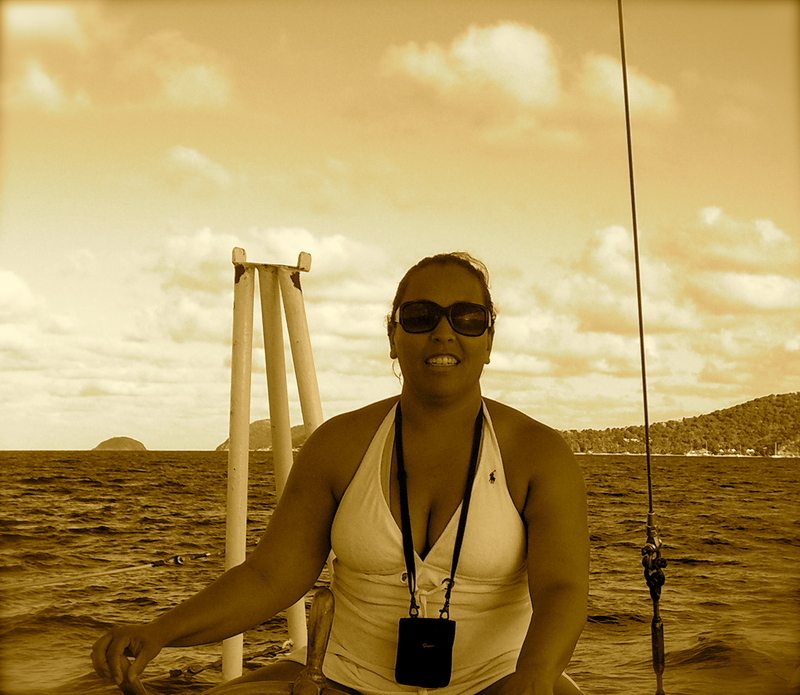 Me Sailing, a good skill to linking up with folks and private boats! 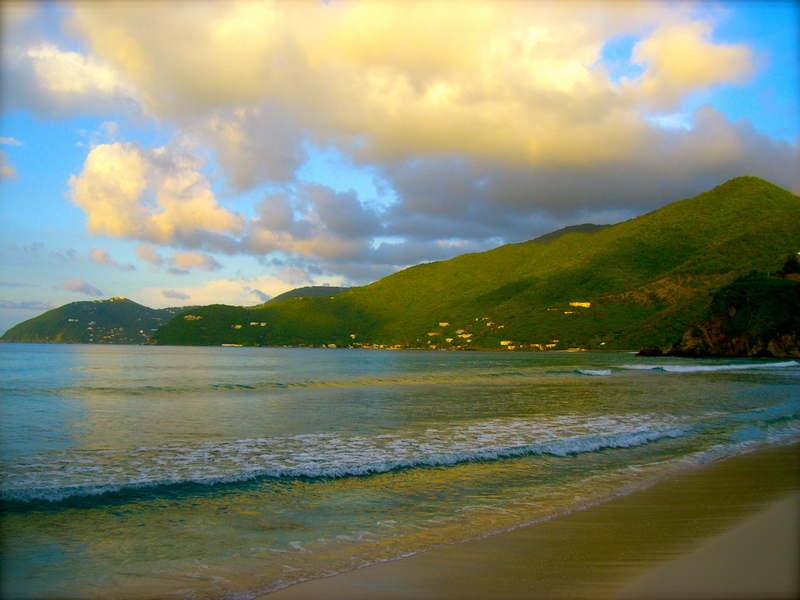 Sandy Cay – Besides Virgin Gorda, this is my favorite island. There is nothing there, so you need to take everything with you. I hooked up with a couple with a sailboat so not sure charters go there. There is no dock, we jumped out and swam to shore. Imagine Castaway, the pictures you see in a calendar, this is it! Fallen Jerusalem – We sea kayaked to this uninhabited island that is less than 50 acres. It is much like the Baths with lots of boulders less all the tourists. Ask locals how to get there; we hooked up with other surfers who had been living there the past season to spend a day in paradise. There is nothing there, so take plenty of food, water, snorkel gear and sunscreen. Activities: lay out to rest from kayaking, boulder (oh yeah), snorkel and rest. There is no place to anchor and you should not plan on staying overnight. 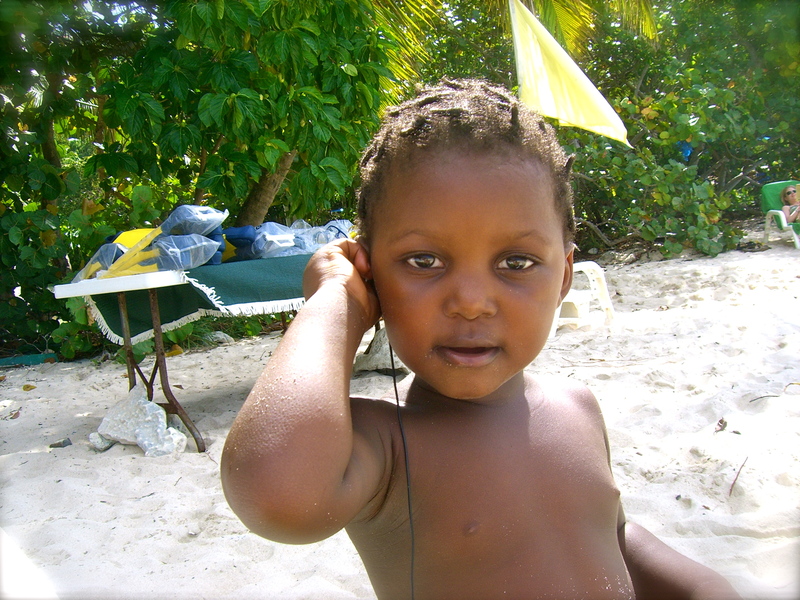 This is Bella, I found her at Smugglers Cove, a beautiful little beach baby! Sandy Spit – You know the calendar photo with sand and a palm tree? This is it. We linked up with a couple on a private boat to go here to lay out in paradise and check out the surfing which is near there off the ocean (in other words, you paddle that surf board from the boat, no shore!). The day we went surf was ok, but I heard how awesome it was. The simplistic beauty of the patch of an island was an awesome experience alone. 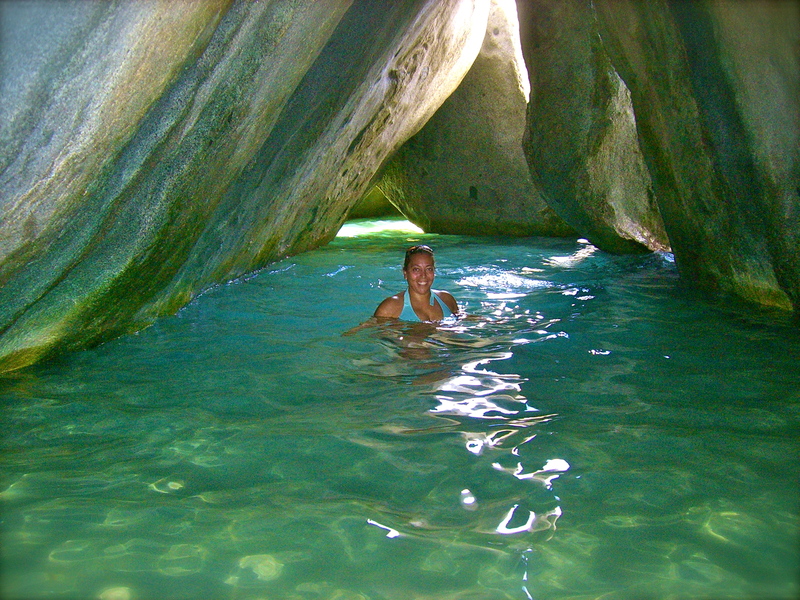 Virgin Gorda – This is my favorite place and where all the good bouldering is at! If you are with non-climbers that love to hike, exploring Gorda Peak National Park is a must and the Baths are a must! 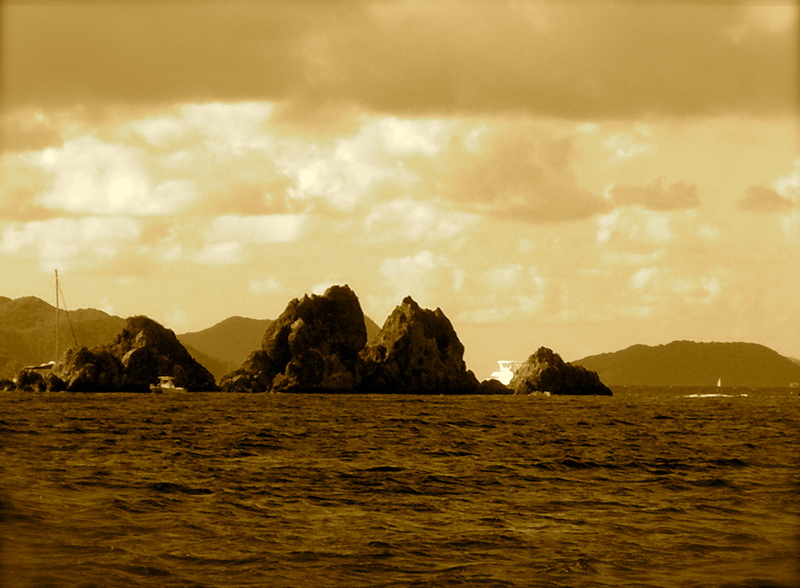 Next time I visit BVI, I am just staying here to explore the 400+ boulder problems! Here are some guides for bouldering. Jost Van Dyke – This island is small, like about 4 miles around. If you take the ferry to this island, you will arrive at Great Harbour and if you want, you can pretty much pick up all kinds of excursions there. 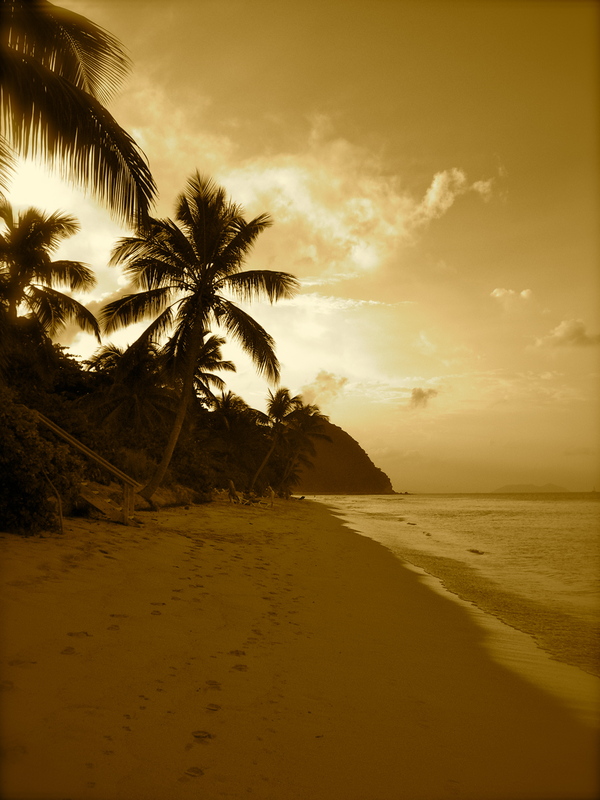 Me, I like to explore and found myself wandering to White Bay, about a ½ mile beautiful beach to lay out and snorkel. Make sure to also go to the Bubbly Pool, a natural sea formed Jacuzzi (as most say, its true), just be careful, don’t get pulled in by the waves! 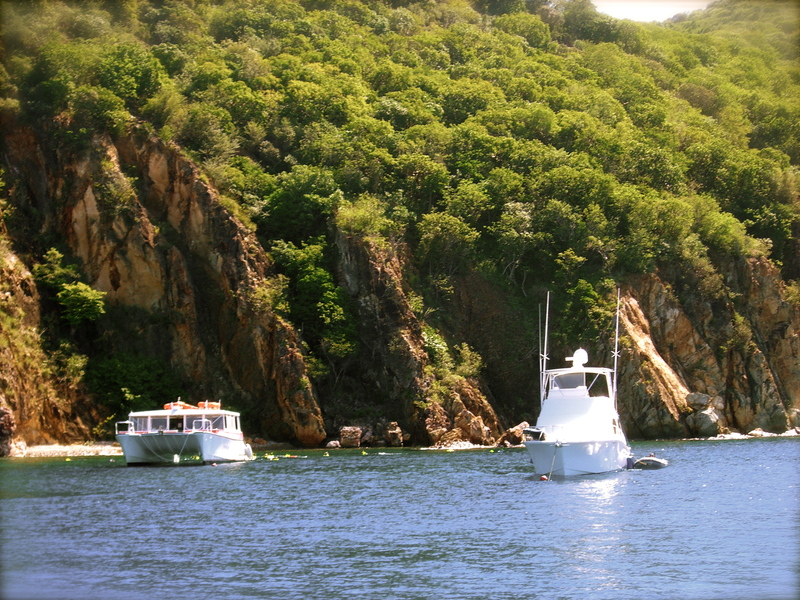 Norman Islands Caves – Make sure you take an excursion that offers a combination of Norman, Cooper and/or Peter Island. At Norman Island, if you are at the Pirates Bight Restaurant, there is a great (and little challenging) trail for hiking enthusiasts. Make sure to get snorkeling done at the Caves and nearby are the Indians & Pelican Island, all worth doing if you are in that area. I remember snorkeling at Cistern Point at Cooper Island and Peter’s Island is a diver’s paradise. Anegada Island – At the time I visited, none of the boats were allowed to go there for some reason. BUT I managed to get there anyway helping a sailor that just had a stroke. I got a bunch of folks to pay for the excursion and boy was it just simple and beautiful. My two friends ended up flying there in 10 minutes, insane! This island is I think 11 miles long and much nicer than White Bay. Go to Loblolly Beach, great snorkeling right off the beach! Big activity here is snorkeling, diving, lying on the beach and exploring the island. 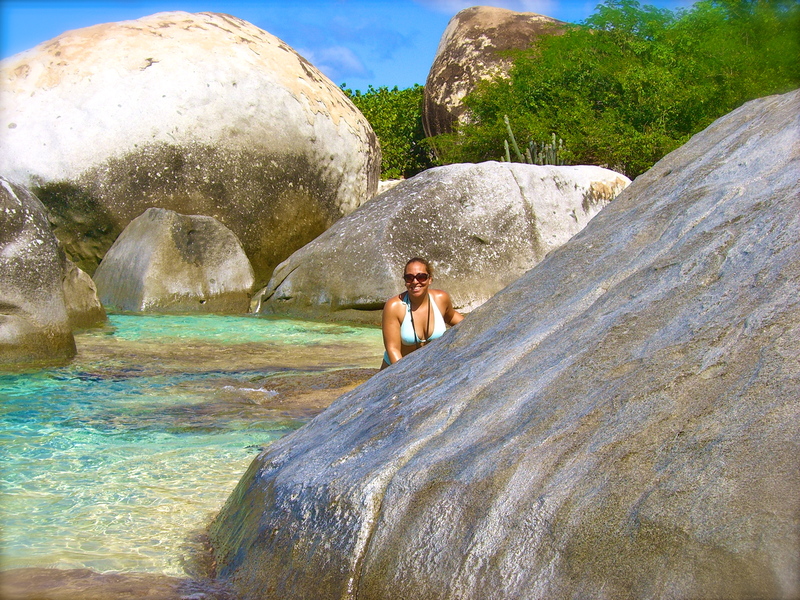 Virgin Gorda Peak – My favorite, rocky and fun, get to the top and you will have some amazing photos! Sage Mountain National Park is worth visiting for hiking. It has something like 12 trails and you should be able to get brochures from the park entrance, when I went we got some and they proved to be super handy. Bordeaux Mountain Trail – Variable terrain, steep at some spots but fun. Drunk Bay Trail – Rocky terrain and short, but fun. Lameshur Bay Trail – A true forest type trail, not challenging, a couple sea view spots, but a good place to just hike. Not my favorite, because I can just hike pretty forestry hikes by my house. Rams Head Trail – Rocky terrain, about 1-mile that ends up at a beach. Reef Bay Trail – Moderate and longer hike than all the others and touristy. Trails.com lists some of the best hikes and has good beta for the hiking enthusiasts. 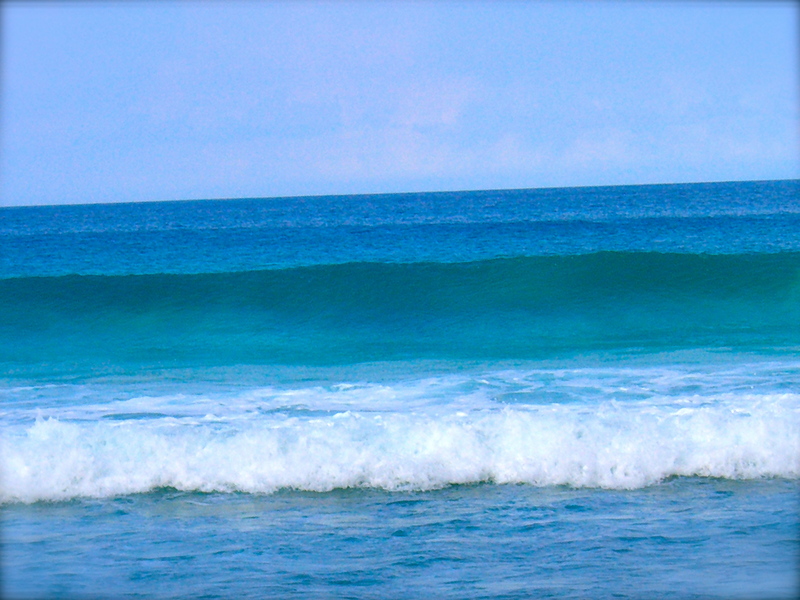 Surfing – The best surfing is in Tortola, but if you link up with someone with a private boat, go to Sandy Spit. During surf season, there is surfing there by boat. I surfed at Apple Bay, but take caution, approach the water with your surfboard rather than walk in the water due to sea urchin. My Swiss friend ended up in the hospital and I think they lost count at pulling out 27! The other really awesome spot is Josiah’s Bay, my favorite because the waves were super consistent. Long Bay Beach is ok; there are lots of boulders under water so just be careful. When we surfed there the waves were surprisingly overhead but slightly choppy and inconsistent during our vacation there. At night make sure to go to Bomba’s Surfside Shack, it is a MUST. It is walking distance from Long Bay Beach Resort. Ok, its time for you to start planning your Winterscape, what are you waiting for??!! Next Winterscape write up destination…Bermuda! !